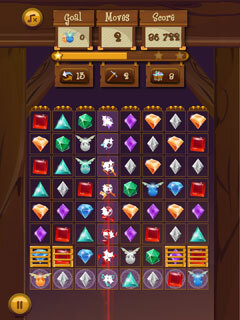 Let the great Jewel Fever begin! 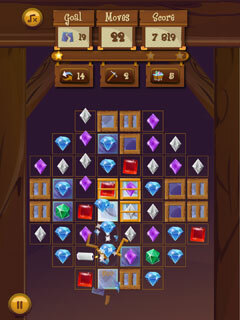 The travelers from all around the world have come to the mines to dig those diamonds out. 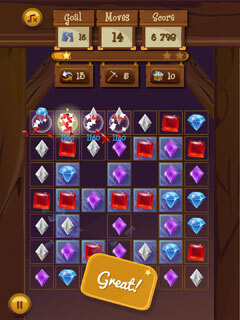 Join them in the effort to find as much diamonds as possible while engaging in various challenges that will keep you entertained for long stretches of time! So, what are you waiting for? Swap and match colourful diamonds to form chains of 3 or more of the same colour. You will be rewarded with explosive power-ups if you match 4 or more. 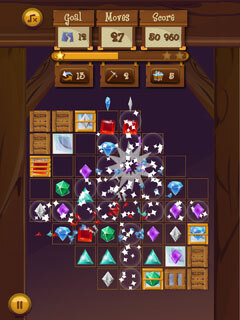 Use 2, 4, 6, 8 or directional keys to move the cursor or a selected diamond. 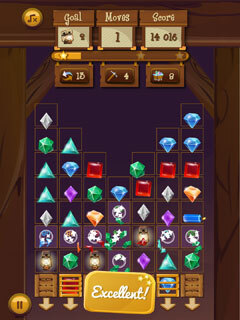 Press 5 or central key to select a diamond or to confirm.